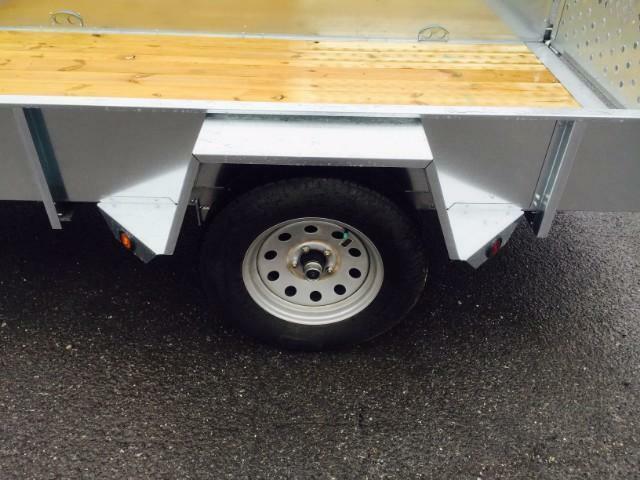 FREE PROMOTIONAL SET OF ALUMINUM WHEELS. 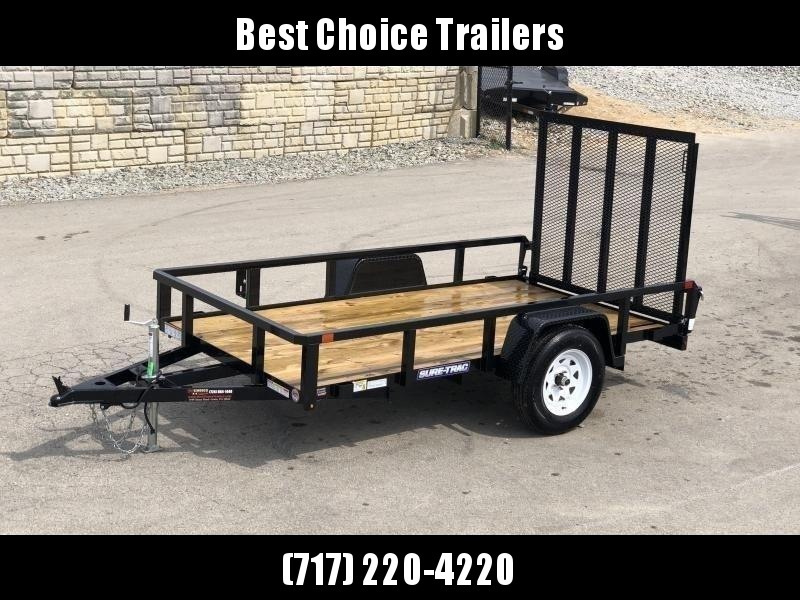 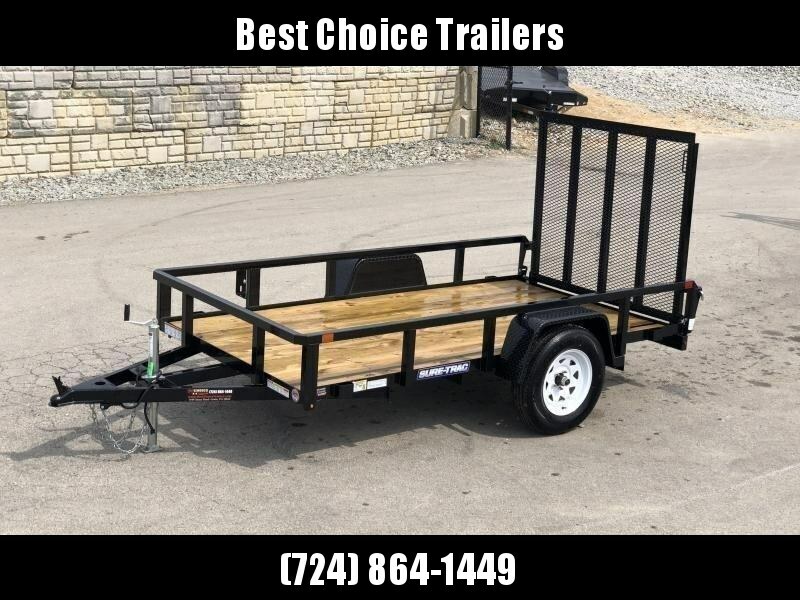 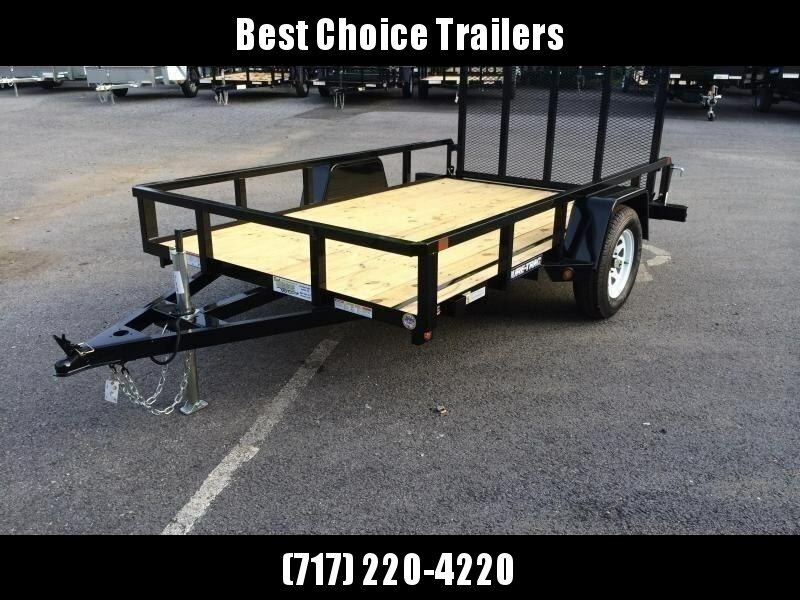 Most homeowner's should look no further, this is the trailer for you. 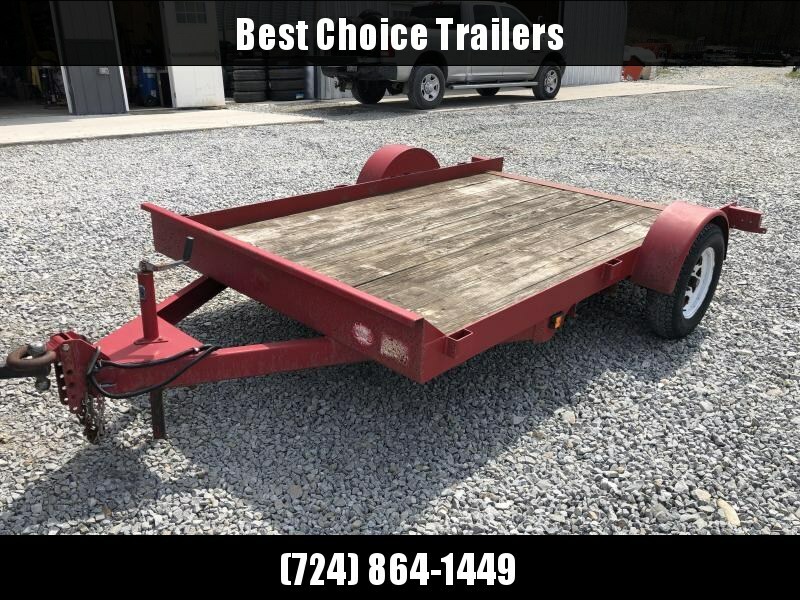 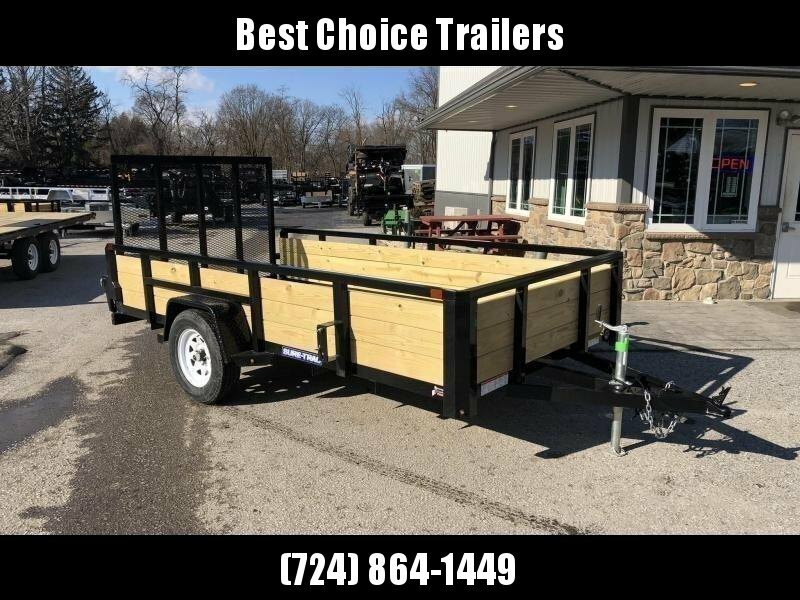 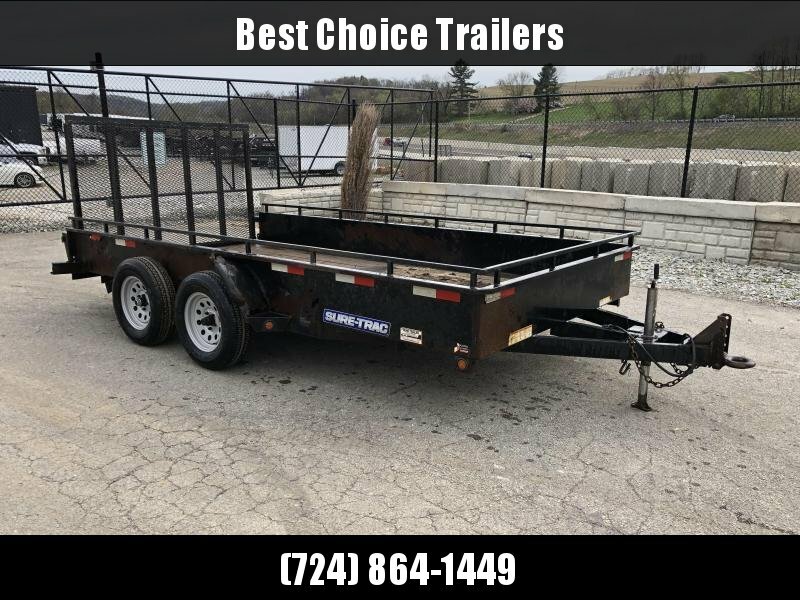 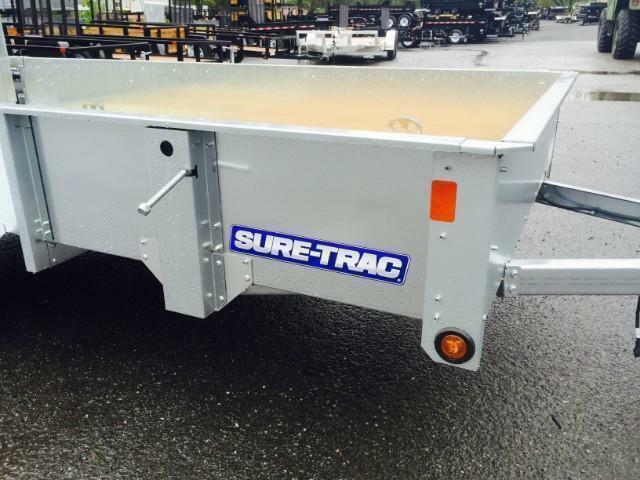 A galvanized trailer designed for multiple uses, but most practical for a homeowner seeking a trailer that will give years of corrosion free service with solid sides for hauling items such as mulch or debris. 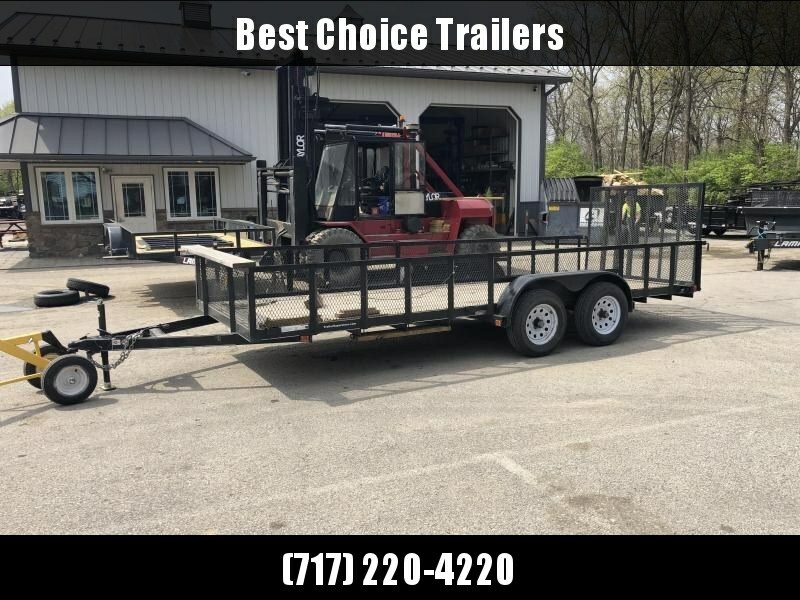 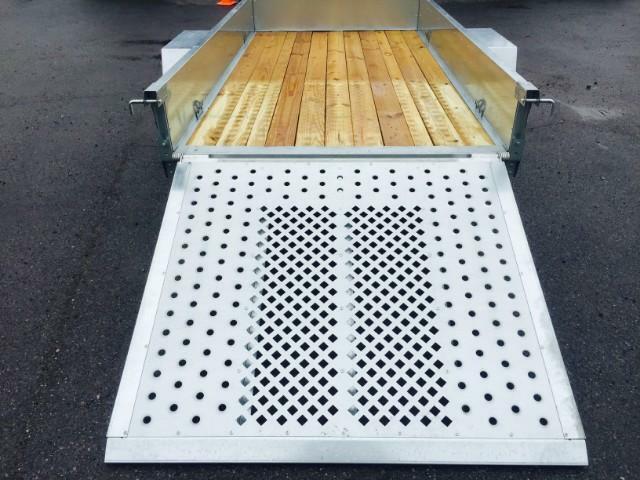 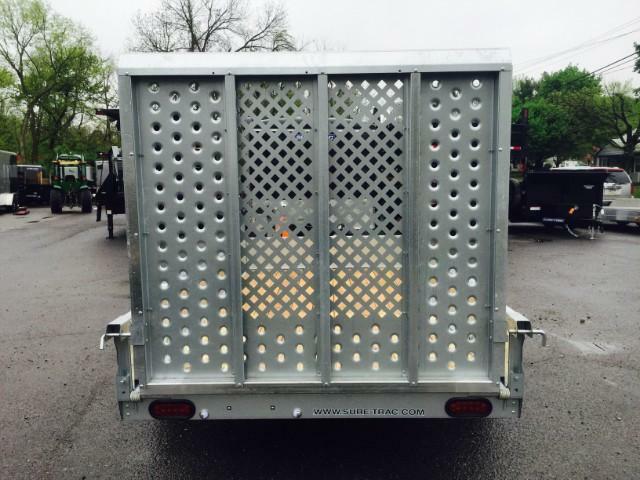 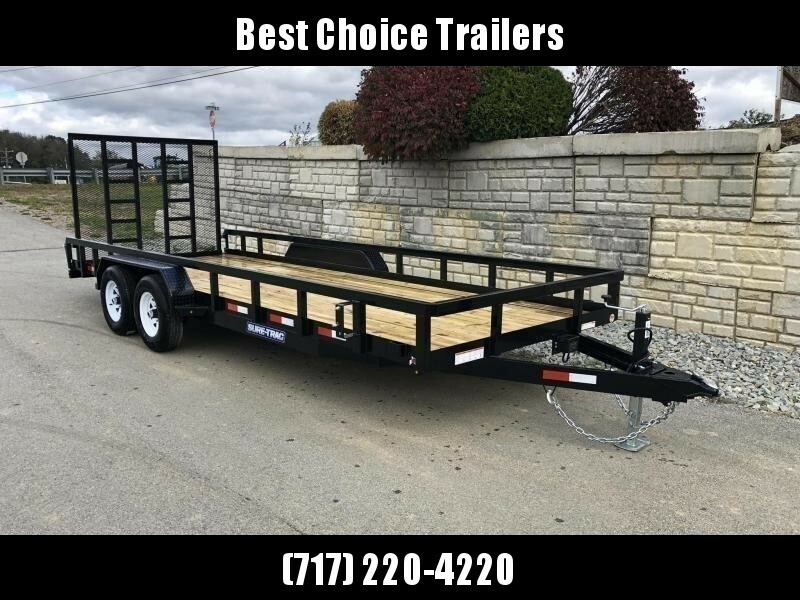 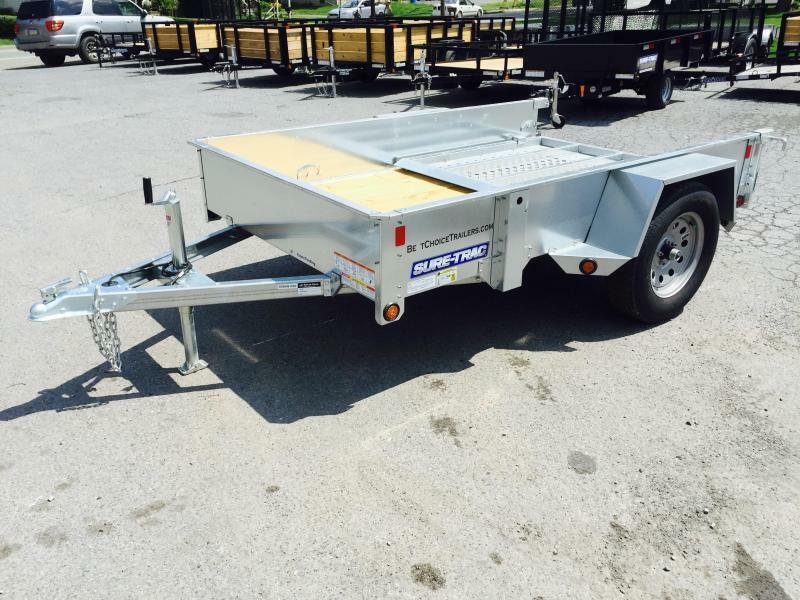 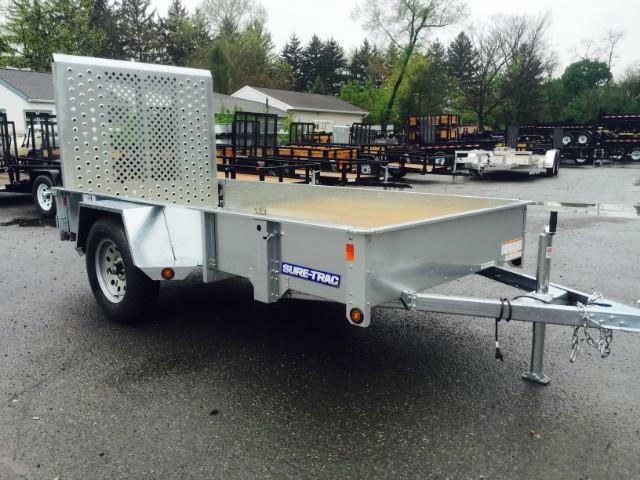 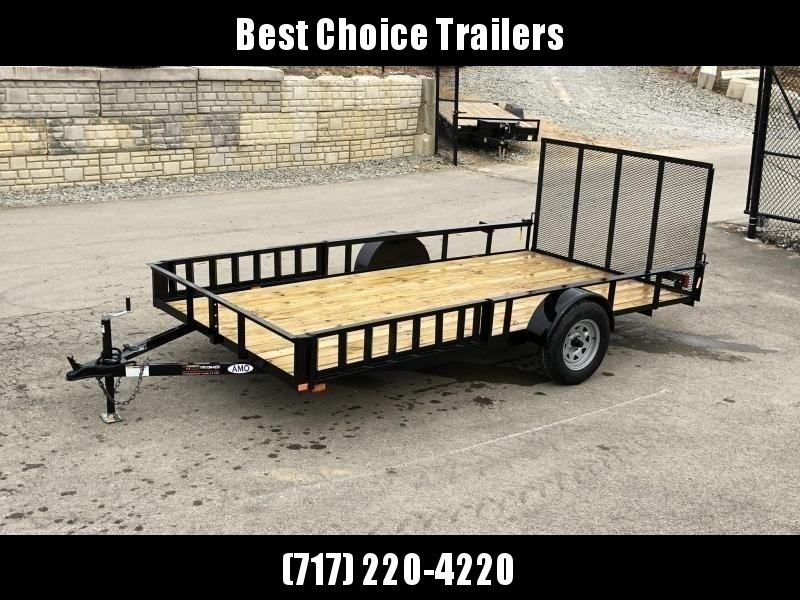 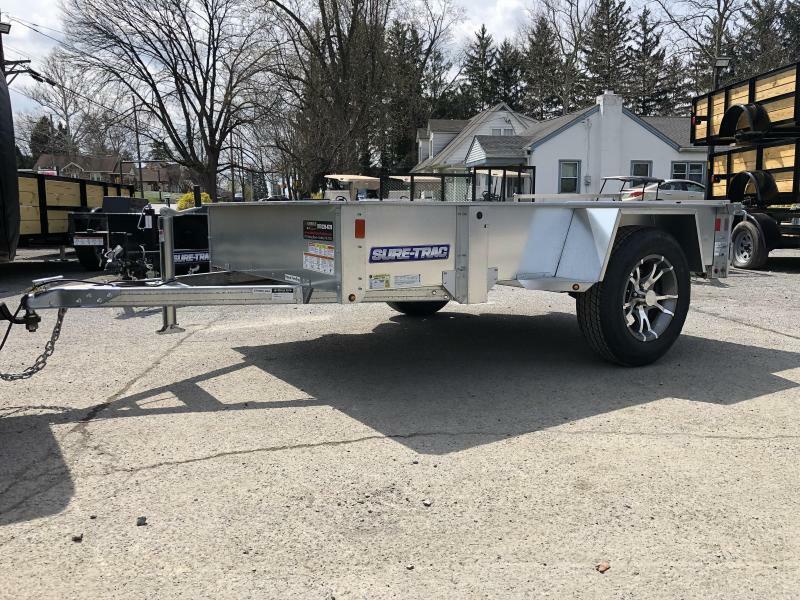 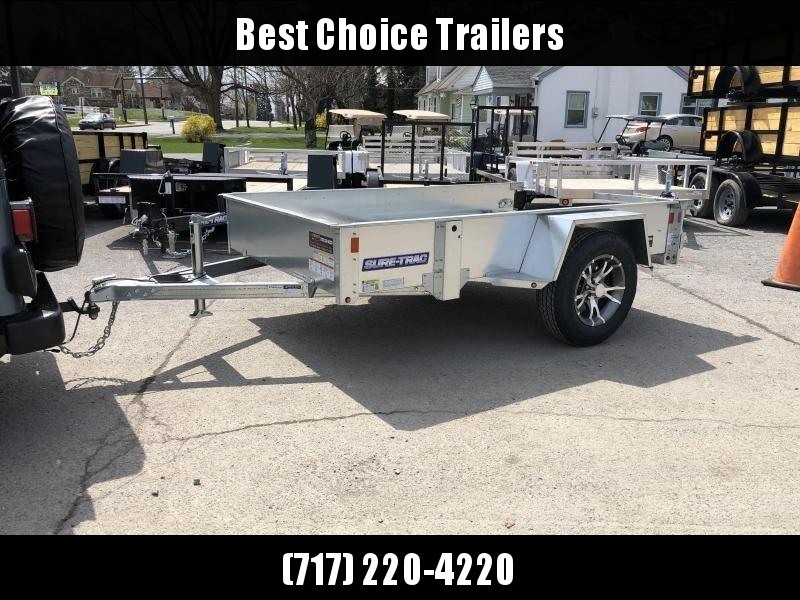 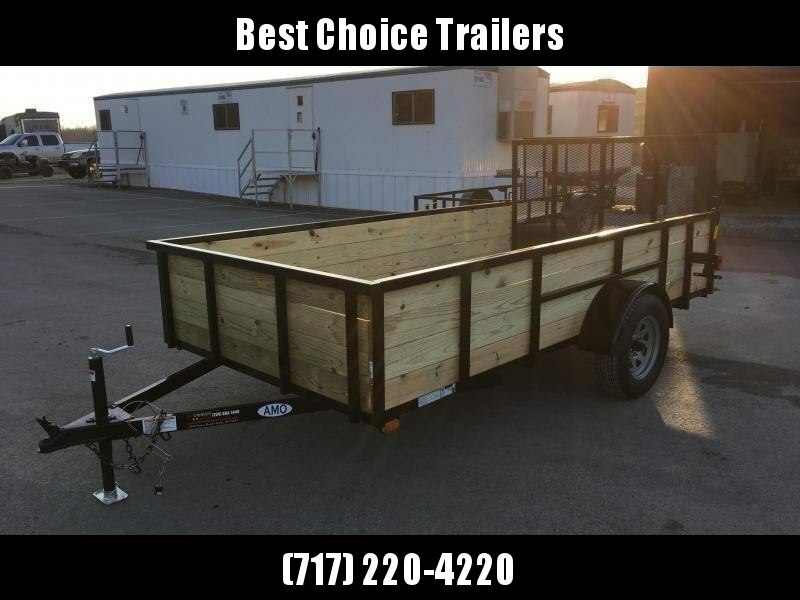 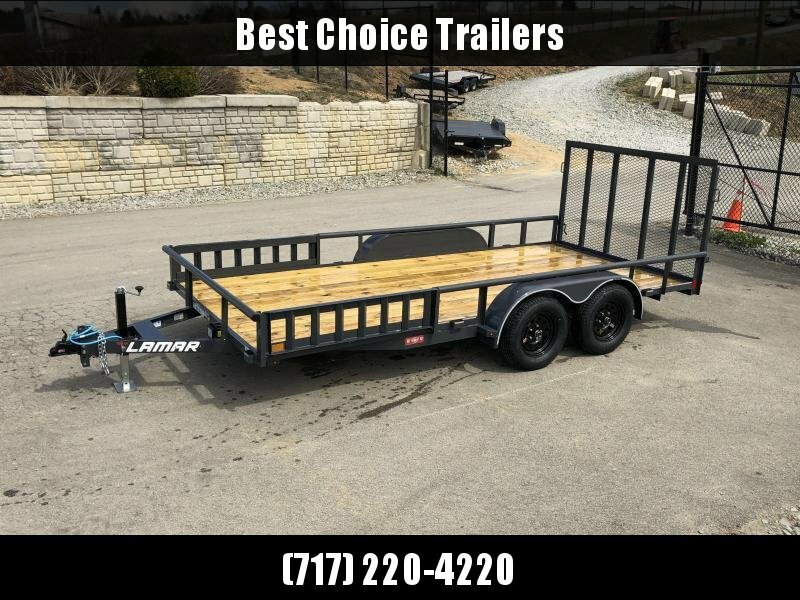 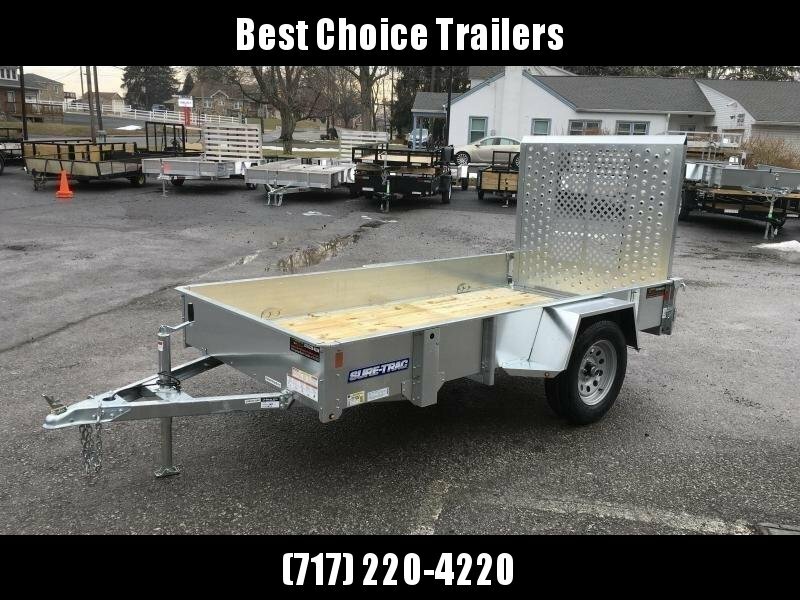 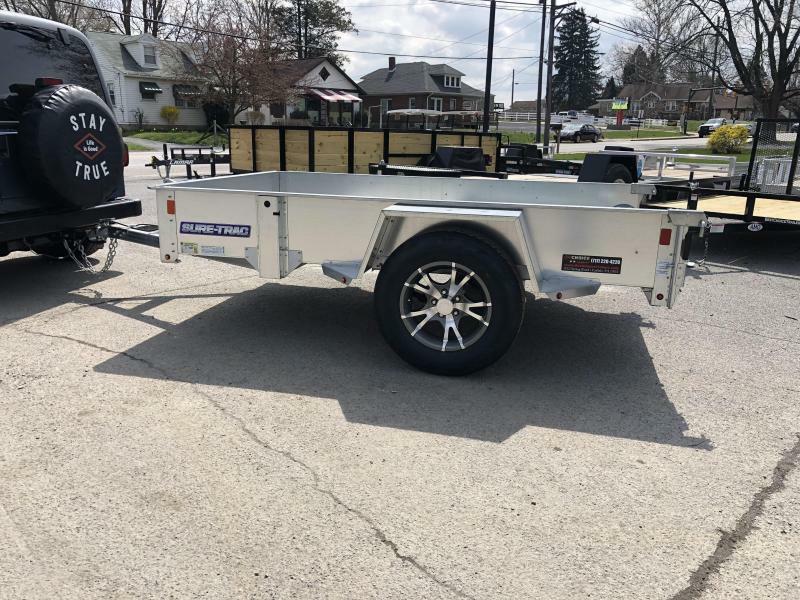 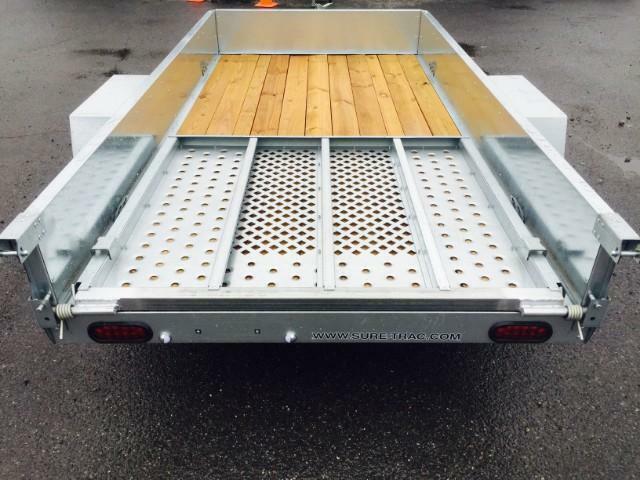 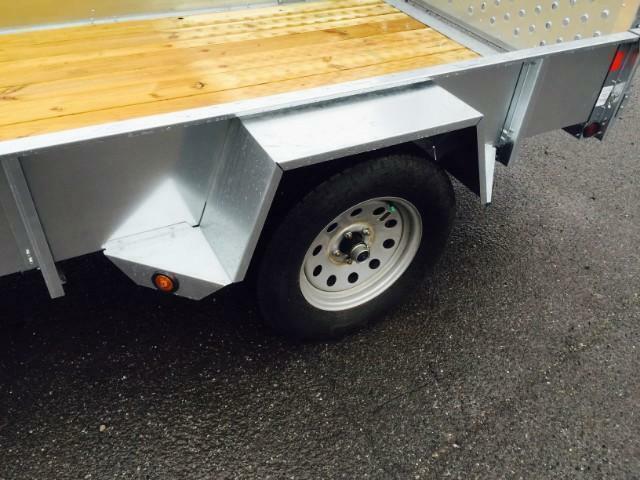 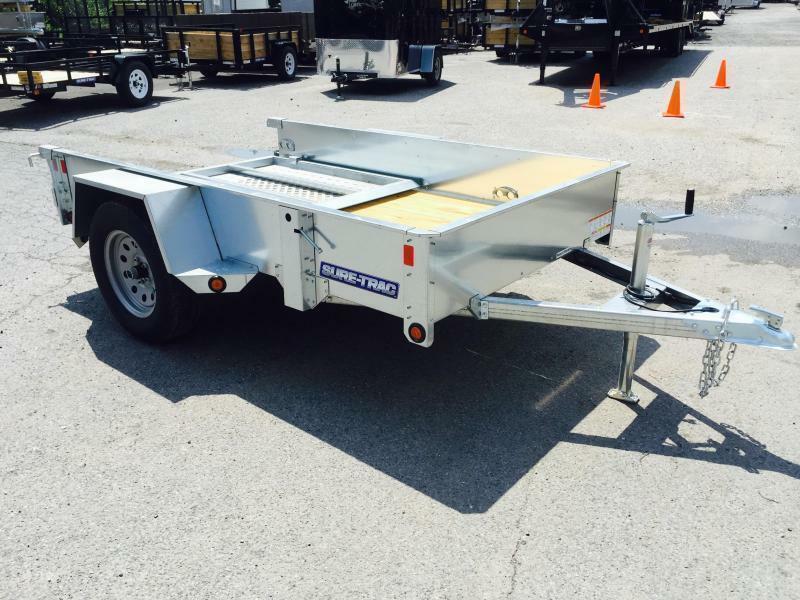 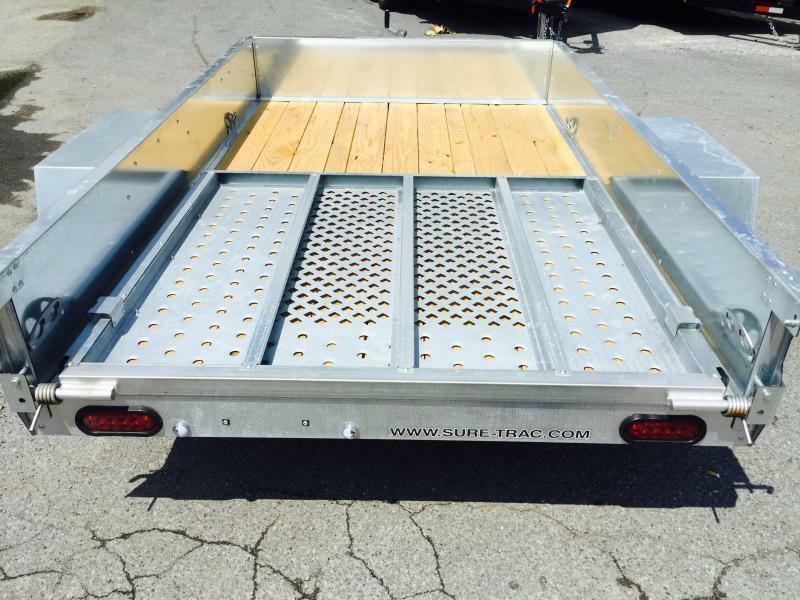 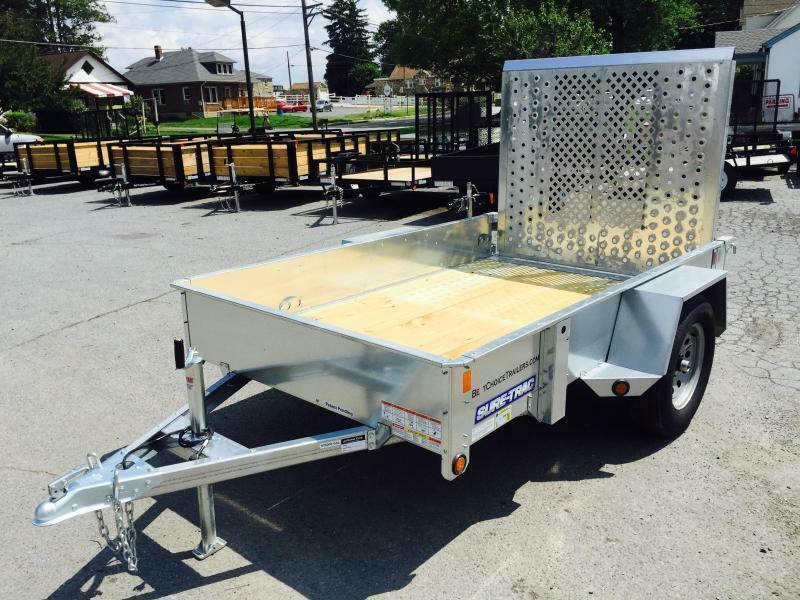 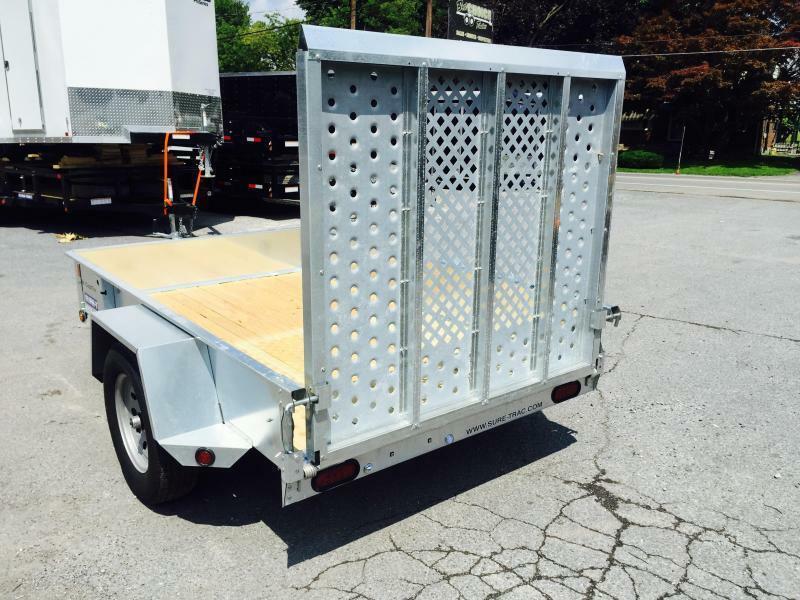 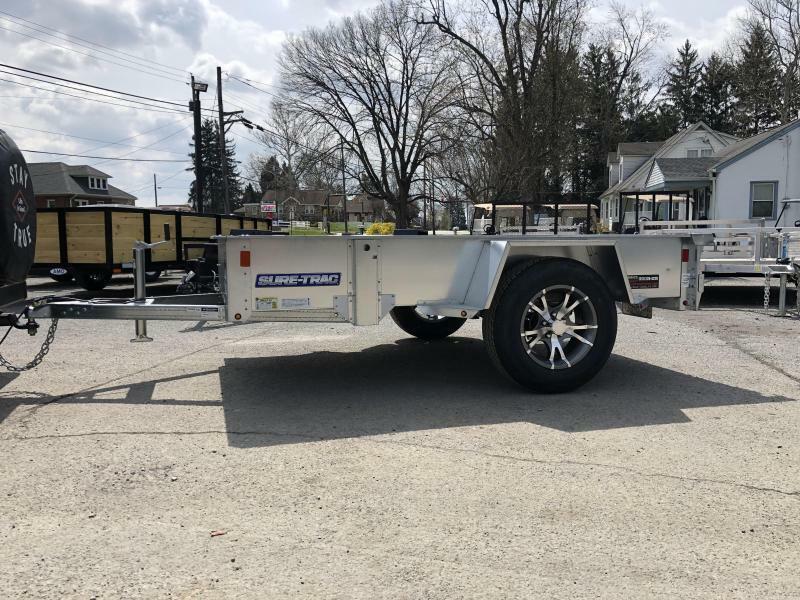 The galvanized trailer has the majority of the features on the steel frame tube top units, including the spring assisted, fold in rear gate, set back jack, tie-down points, spare tire mount, 15" radial tires, sealed beam LED lights, etc.